AZRAQ, JORDAN - JULY 11: Scenes inside the Al-Azraq camp for Syrian refugees on July 11, 2015 in Azraq, Jordan. The camp, some 100 kilometres (62 miles) east of Amman which opened a little over a year ago, has already a population of 20,000 and a capacity for 100,000. 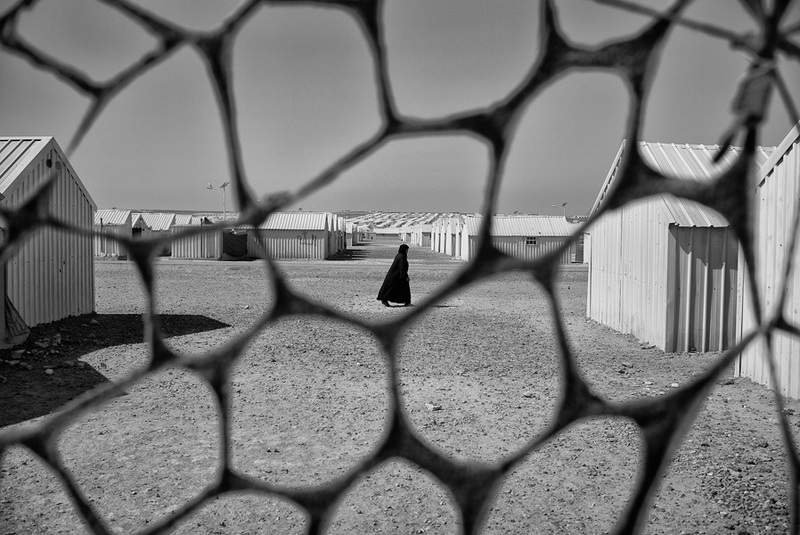 A women walks through the camp in the midday sun. The massive camp's streets are often empty but for the children.